Companies on the Move – Queensland headquartered Smartprint Fleet Management has developed a suite of managed print services that are revolutionising business document management as they supply and service Australian and, now, international organisations. Helping Australian businesses solve document and print management challenges has led Smartprint Fleet Management to pioneer and develop new systems that far out weigh anything in the Australian market – and is about to go international. 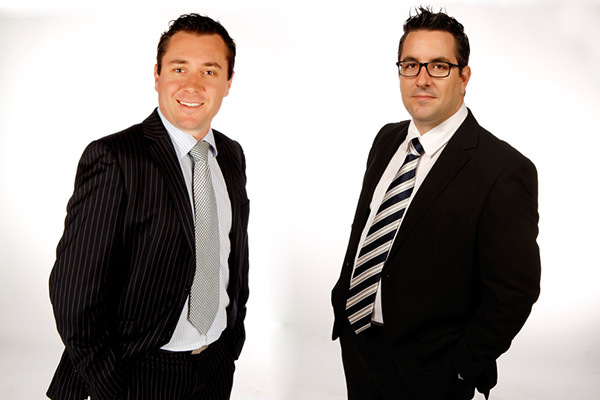 Smartprint founders Justin McShane and Jason Ganis. Smartprint CEO and co-founder Jason Ganis said a new automated web based managed print services (MPS) tool he had developed would change the industry through a problem- solving capability that takes into account the nuances and challenges of structuring MPS solutions. Smartprint had made a name for itself by changing the dynamics of printer fleet management with its allbrand approach, automated toner replenishment, remote service diagnostics, a highly responsive call centre, and utilisation of more than 1500 technicians nationally to service and maintain equipment on-site. Mr Ganis said the new secure web based CRM tool would help it become one of the world’s most efficient print solutions and document management organisations. Smartprint is now commercialising that MPS tool and it is being rolled out through large strategic partnerships to both domestic and international markets. The world’s first online secure MPS CRM tool will allow authorised resellers and Smartprint clients to create, package and propose MPS in one tenth of the normal quoting time. “This product has been designed to aid the novice right up to the experienced MPS professional, with the same synergies as our group of companies to provide all brands of equipment, in house finance packages, value adds and blended MPS offerings under the same roof,” according to Mr Ganis. Smartprint has been approached by a leading global wholesaler, in addition to a major manufacturer to adopt the system across North America. Smartprint is today the largest independent and one of the fastest growing companies in Australia that specialises in MPS for laser printer and photocopier fleets. Smartprint encompasses all service, equipment, maintenance and consumables. “In fact Smartprint was the first company in Australia founded exclusively, wholly and solely for the purpose of printer fleet management,” Mr Ganis said. It is Smartprint’s seventh year in business now and it has thrived through strong client referrals and partnerships. Smartprint can support even the largest client corporation, but have realised that personalised service remains the key element of growth. “We are flexible too, and that is what the large companies want,” Mr Ganis said. Many of Smartprint’s successes have been based on meeting the diverse needs of organisations – which often have a mixed fleet of printers and needed the types of blended solutions in which Smartprint specialises. Smartprint’s unique approach is being 100 percent brand independent, Mr Ganis said, “making us one of the only companies delivering flexible services that can be tailored to an individual customer’s requirements”. Smartprint then monitors the clients’ machines and reports any failures or consumable requirements on an ongoing basis, which it also fulfils Australia wide. Smartprint has been bringing greater awareness into the market, educating business on how to best utilise the enormous amount of data that is generated as part of the process, to develop new efficiencies. Mr Ganis said even though the print industry had caught on to MPS, “People don’t understand it fully at this stage – both where it started and where we feel it’s heading. However, Mr Ganis said, sole brand solutions were often too narrow to meet the diverse needs of many companies and were found to be wanting. The value of quality MPS was illustrated by the fact that one of Smartprint’s closest competitors in the sector was bought out by a manufacturer last year – an illustration of a trend for listed firms buying up Australian companies and then adapting their programs. Smartprint now finds itself operating in an environment where there is no independent providers and automated solutions to compete against. “There is no real agnostic organisation out there in MPS land,” Mr Ganis said. “What also makes Smartprint stand out from the pack is that we partner up with our clients and hold a day to day relationship for the life of the agreement. This means Smartprint will not supply sub standard devices that may not go the distance or stand up to our strict SLA’s. We know what works and what doesn’t and what’s good value and what isn’t. Smartprint’s leadership in the sector helps to explain how the company has grown 82 percent since 2010 and has grown in turnover over the past year. While Smartprint is seeing a trend of increased prints generated through greater populations in the workplace, there are also more companies needing to print and more production overall. But, the trend through MPS is for smaller footprints and smaller, more economical print systems being brought into play. For example, instead of having a printer on every desk, increasingly there tends to be one centralised provider and one help desk to assist. Print Security was formed to bring awareness to government and business community about a looming threat and an area of concern that has been overlook in the print industry. Mr Ganis said from 2002, nearly every copier used in business contains one or more hard drives that are capable of storing all kinds of data. “Most digital copiers and multifunctional devices in service today store these images even after a manufacturer reset or the machine is turned off,” Mr Ganis said. “Although it may be stored in a proprietary language or encrypted, once a hacker breaks this code, it is possible to gain access to your data. Print Security has an exclusive mobile data sanitisation solution that no other service provider has or can supply. Mr Ganis said it had been reported that, in 2009, a total of 806,000 Australians were victims of personal fraud – about five percent of the population. Of these, 453,100 victims lost money, incurring a combined financial loss of almost $1billion. With the increase in data breach risk, Mr Ganis said, it became obvious that a service such as Print Security was needed sooner rather than later – and Mr Ganis has recently brought this service to market. “Unfortunately, a majority of copiers today offer no simple and effective means to completely purge the data they contain,” Mr Ganis said. Print Security uses the only failsafe method for protecting valuable information. It purges data to National Institute of Standards and Technology (NIST) standards, sanitises the HDD and reformats to the specific print device. Print Security brand has now been launched and its commercial prospects seem very bright, even in these early stages. Data security is also in high demand – and Smartprint is increasingly stepping into that arena in protecting data on prospective and existing clients devices. “All data is then collated, processed, assessed and provided back to the customer in the form of a comprehensive management report detailing current statistics, total cost of operation (TCO), areas of improvement and proposed MPS implementation,” Mr Ganis said. “MPS has become the flagship product for the print industry. In fact, it sees the major manufacturers and copier suppliers alike promote, advertise and utilise the buzzword to retain clients and involve themselves in the market grab, which according to independent studies will see Australia reach market saturation in 2013 with a forecast of A$880million.” Mr Ganis said MPS has shifted the market, which is evident by dealers once waving the branded flag and promoting the manufacturers label to dropping the logos and pushing down the independent path to reflect brand neutral and unbiased offerings. Infosweep EOL: Onsite HDD cleaning service for End Of Life equipment. Infosweep IS: Periodical maintenance agreements for ‘in service’ equipment as tracking, placement and decommissioning is usually decentralised and unmonitored. Reporting: Security analysis and life cycle processes reporting. Contracting: Tracking and disposed equipment retrieval services. Wholesale: Partnering solutions for manufacturers, underwriters/financiers and auction houses to minimise liability, risk and repercussions. Laser Printers Direct is a Smartprint Fleet Management-developed onestop shop for printing equipment, accessories and consumables covering all manufacturers, makes and models servicing Australia and New Zealand. Smartprint discovered, through its MPS services and industry experience, that it was quite difficult to acquire wholesale printers and supplies. Laserprinters Direct was formed to fill the void and provide a national online easy-to-use shopping cart site with exceptional service. The ifish Finance is a supportive financial services arm of Smartprint Fleet Management. ifish offers a range of financial and leasing products that have been developed to help clients acquire, manage and maintain business equipment. Ifish finance is a member of Credit Ombudsmen, Finance Brokers Association, Veda Advantage and holds an Australian Credit Licence. “We have the highest level of broker certifications supporting our own white label documents (Print smart and rental plans) to which some of Australia’s largest mainstream institutions and merchant banks underwrite,” Mr Ganis said. ifish Finance also offers other forms of business finance Australia-wide.